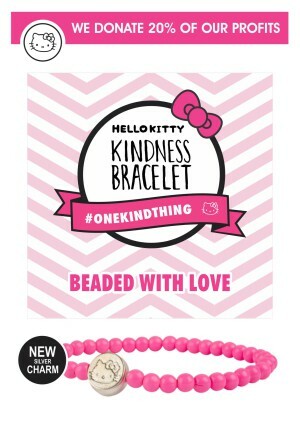 BEAD BOX – Limited Edition Official Licensed Hello Kitty box containing materials to bead 5 Hello Kitty bracelets. Various pink specific, white and black glass beads, clear crystal elastic included. 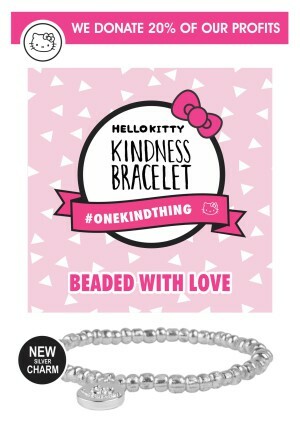 HARDWARE – 10mm alloy metal disc, silver plated / colour coated with engraved HELLO KITTY licensed images. If the goods are to be sent out of South Africa and you purchase more than 25 bracelets, please be advised that courier is a safer option. SKU: HKBEADBOX. Category: Hello Kitty.